Palmers Department Store is a delighful place to shop, located in Great Yarmouth. My husband's family have a house there, and we always drop in when we are in town. Don't live near Great Yarmouth? Then that's no problem. I have discovered they have a fantastic on line store. What I love about Palmers is they are not a chain, their service is impeccable, and it feels like a true family business, and that feeling is replicated in their online store. The products are really lovely, and at competitive prices. I was given the opportunity to do a little online shopping, an activity I don't seem to get enough chance to do these days. I decided to treat our home! 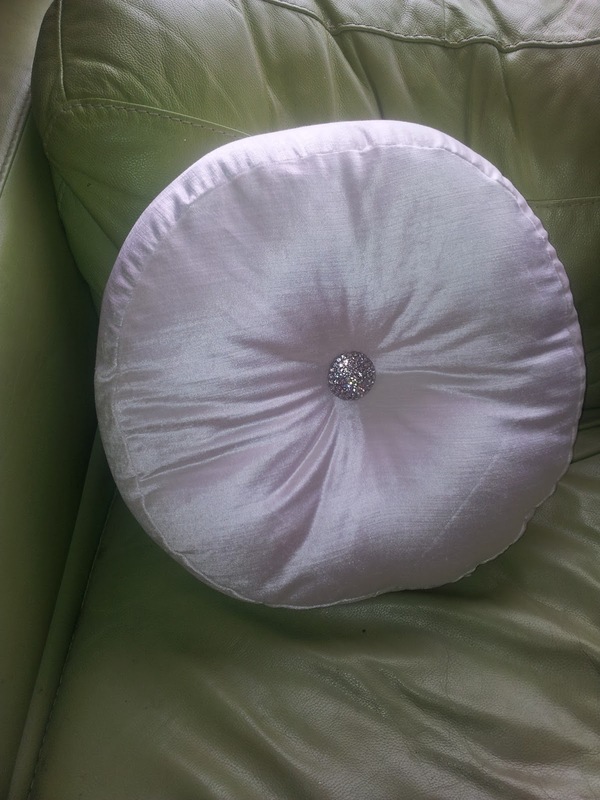 The fabric is really beautiful and the button is sewn on fast, great quality, and its nice to have a bit of Kylie bling in my male dominated household. I may never be able to wear her hotpants, but I can have her cushion! My next choice was a teapot from the Denby collection. 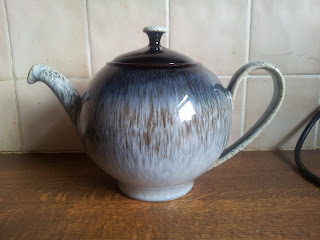 Like many others I love Denby pottery and I will definitely be shopping with Palmers again and adding to my collection. Everyone has been talking about beautiful teapot in the Halo range, and I'll most certainly be adding mugs and the breakfast bowls soon. I have to say, knowing the fine detailing on Denby wear, I was concerned that it may not make the journey intact. My fears were unfounded, the teapot was well protected, and buffered by air filled cushions, so although there was ample packaging, not loads of it, so not adding too much to landfull. I really adore the teapot and it really lifts our outdated kitchen, far too nice to hide away. My next job is to knit a lovely cosy for it! I'd highly recommend Palmers. They have an excellent price promise, personalised service, and great delivery. The range of items is impressive. I was given an allowance for online shopping. All product choices were my own, and my opinions are mine. I know great yarmouth well, we used to go there as kids. Cool teapot! I love Denby too, in fact I need to get a few more pieces for my set. I've have to see if Palmers have any of my set.